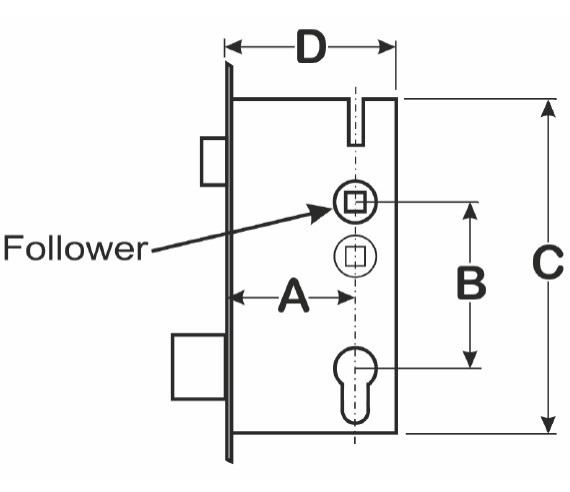 The following guide can be used to help identify or correctly measure your UPVC Door lock. If you would like further help identifying your lock, please print off and complete the PDF version of the Multi-Point Lock Identification and provide as much accurate information as possible via email to help@eurocell-hardware.co.uk. Is the Manufacturers name or mark on the lock faceplate? If there is a name or mark on the lock faceplate for example 'GU', please note this down and refer to the GU section of UPVC door locks. What are the Lock Centre Case dimensions? When trying to identify or measure any multi-point lock, there are two criticial dimensions required - the PZ and the Backset. The centre case height and depth are also useful. A. The PZ dimension - measured from the centre of the spindle (follower) hole to the centre of the top diameter of the lock cylinder (barrel) hole. (If there are 2 spindles always measure from the top spindle hole). B. The Backset dimension - measured from the front of the lock face plate to the centre of the spindle (follower) hole. C. Case Height - the height of centre case. D. Case Depth - the depth of the centre case. What type of Centre Case does the UPVC Lock have? 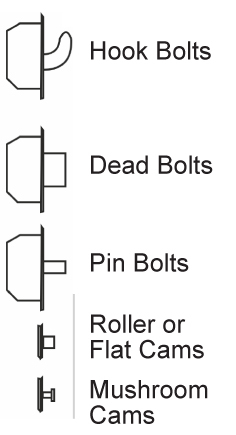 Latch & Dead Bolt - the most common type of centre case as shown in the above drawing. Latch & Hook - hook bolt in place of the dead bolt. Latch Only - no dead bolt. 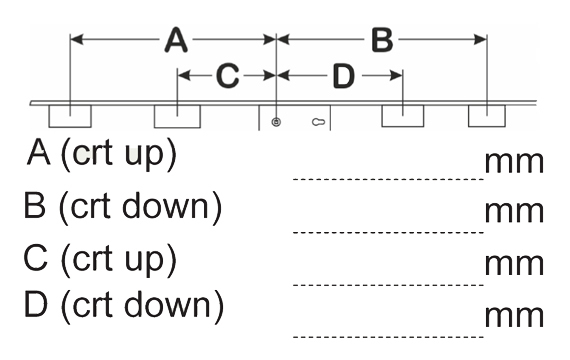 What Follower / Spindle Operation does the Centre Case have? Single - Solid Follower - Single Spindle located on centre case. How to distinguish between a solid and split follower? If the door isn't locked with a key and it CAN be opened from the outside by depressing the handle lever, the lock uses a solid follower. Single - Split Follower - Single Spindle located on centre case. If the door isn't locked with a key and it CANNOT be opened from the outside without the use of a key, the lock uses a split follower. Dual Follower - Two followers located on centre case as shown in the above drawing. Please note how many locking points the multi point door lock has, for example 2 hooks, 4 rollers.